The more years between driver’s ed and your current age, the more likely we are to forget some of the rules of the road that could get us ticketed by an attentive law enforcement officer. Here are some reminders of traffic violations that we tend to get sloppy about. One good reminder and one we often see other drivers violating is the use of a handheld mobile device while driving. You are also not allowed to drive while using headphones. Following too close is another common traffic violation. Also known as “tail-gating,” following too close to the vehicle in front of you puts you in danger of a rear-end collision if the car in front of you makes a sudden stop. Lane changes are also an event where we can become careless over time. Checking the lane you are moving into and proper signaling are keys to executing this move properly and in compliance with the law. You may be charged with a failure to control, failure to signal, or weaving if you happen to violate these traffic rules. If you have a restriction on your driver’s license, such as eyeglasses, and fail to you those when you drive, you may earn a traffic violation based on ignoring that restriction. Making a prohibited or improper U turn is another common violation. Failing to make a right turn as close to the curb as practical as well as failure to make a left turn into the lane to the right of the center-line are two other violations committed on a regular basis. Failure to yield to a funeral procession is another violation. Another related yielding violation is failure to yield to an emergency vehicle. If your vehicle is so crammed full that your view is obstructed, that is another violation. Don’t forget that many of these common violations carry a minimum 2-point penalty on your driver’s license. Accumulating 12 or more points in a two-year period will result in your driver’s license being suspended. The cost and hassle involved with a license suspension makes it well-worth your while to avoid earning points,. 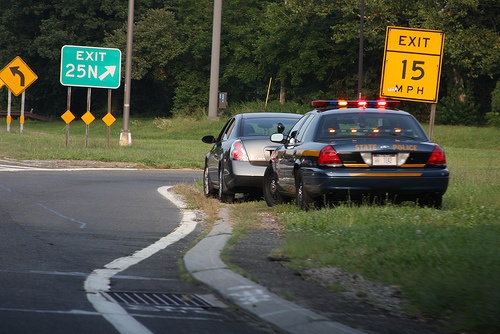 Do you need a Columbus, Ohio, Traffic Violations Attorney? We often hear that ignorance of the law is no excuse, but also be aware that you can contest your traffic violation ticket. In fact, it is often to your advantage to fight the traffic ticket. If you are facing a traffic ticket, or another in a series of traffic tickets in Columbus, Ohio, you need an attorney who knows the law and can help you navigate the various courts with jurisdiction over traffic offenses. Get the representation of a skilled and trusted attorney who can give you the help you need. The Maher Law Firm can make sure that your rights are protected. Founding attorney, Colin Maher has in-depth knowledge and experience working with traffic cases and he will put his skills to work for you. Call The Maher Law Firm today for a free consultation at 614-205-2208 or contact us online.